"Get Going Get Rowing" Indoor Championships, April 5th. 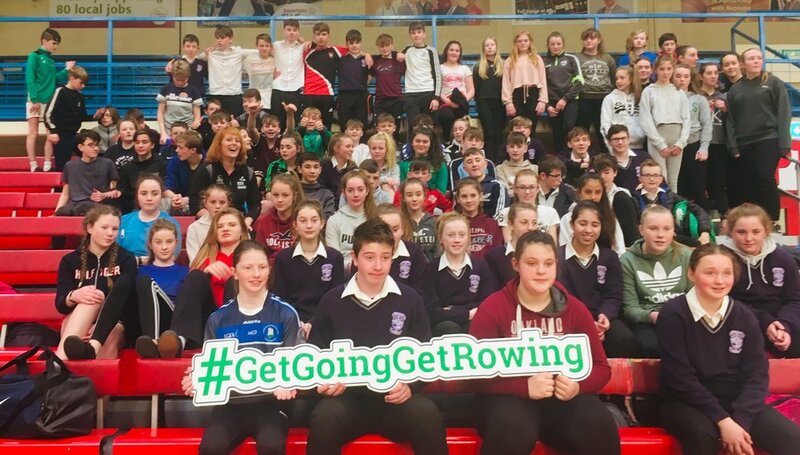 The School Community would like to congratulate the 41 First Year Rowers from class 1C, 1D and 1E who took part in Rowing Ireland’s Indoor Championships in Neptune Stadium last Friday. They all performed amazingly. Well done to the medal winners. Many thanks to Ms. Emily Dulohery from Skibb Rowing Club who coached the teams. Many thanks to the PE Department for their support and to Mr. Fitzgerald for accompanying the teams on the day.